On Feb. 26, Chicago residents will elect a new mayor, 50 aldermen, a city treasurer and city clerk, but you don’t have to wait till election day to cast a ballot. On Jan. 29, early voting will start at the city’s downtown “super site.” Fifty ward sites will be open for early voting starting Feb. 11. Per state law, early voting is supposed to begin 40 days prior to election day – in this case, Jan. 17. But Chicago Board of Election Commissioners spokesman Jim Allen says meeting that date is unrealistic because ballots will not be finalized. (You can thank the process of petition challenges for that.) This is Chicago’s first municipal election since the 40-day state mandate began in 2015. The previous early voting window was 15 days. You also have the option to vote by mail. Election officials say it’s a good idea to apply by the first week of February so there’s ample time for you to receive and return your ballot. The official deadline for vote-by-mail applications is 5 p.m. Thursday, Feb. 21; and all vote-by-mail ballots must be postmarked by Feb. 26. All registered voters can vote early or vote by mail – no excuse is needed. Chicagoans can vote early at any site in the city, regardless of their address. Registration services are available at all voting sites. 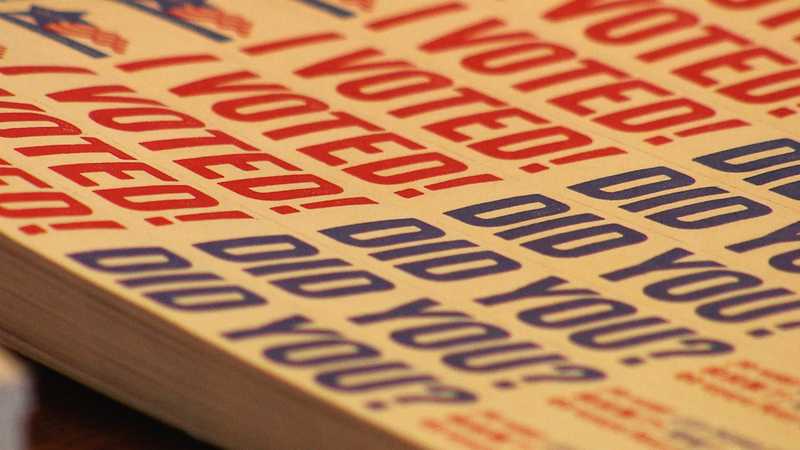 Chicagoans can register at any of the early voting sites in the city through Feb. 25. (Note: Election day registration is also available, but only at the polling place assigned to a voter’s home precinct. Find your polling place.) If you’re registering to vote for the first time, or need to file a change of address, bring two forms of ID (one must show your current address). On election day, Feb. 26, assigned polling places are open across the city from 6 a.m.-7 p.m. Find your assigned polling place for voting on Feb. 26.